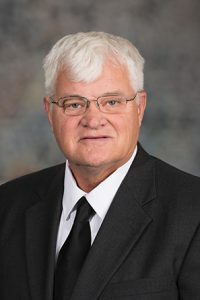 LB596, introduced by North Platte Sen. Mike Groene, originally would have exempted individuals who practice equine massage in Nebraska from regulation by the state. Groene offered an amendment to the Health and Human Services Committee amendment, adopted 32-0, that replaced the bill and instead would create a registry system for equine massage practitioners. Groene said the bill would remove unnecessary barriers for people who want to start businesses caring for horses through massage. He said that the current licensure requirements are so restrictive that there are no licensed equine massage therapists in Nebraska. The registry would be a simple, nonrestrictive process to allow individuals to engage in economic activity and better their lives without excessive government interference, he said. As amended, LB596 defines equine massage practice as the application of hands-on massage techniques for the purpose of increasing circulation, relaxing muscle spasms, relieving tension, enhancing muscle tone and increasing range of motion in equines. The bill would require equine massage practitioners to register with the state Department of Health and Human Services by submitting evidence of a degree or certificate in equine massage from a department-approved school or an accreditation recognized by the U.S. Department of Education. Until Jan. 1, 2022, an individual could obtain registry placement by submitting two letters of recommendation from licensed veterinarians attesting to the applicant’s competence to engage in equine massage practice and paying the applicable fee. A registry listing would be valid for five years and could be renewed. Any person convicted of violating the Livestock Animal Welfare Act could be denied registration or renewal and could be removed from the registry. Groene said the registry requirement satisfied concerns expressed by the Nebraska Veterinary Medical Association, but several senators said the amendment still would constitute excessive regulation. Heartwell Sen. John Kuehn, who also is a veterinarian, characterized the registry as “good old-fashioned protectionism.” Massage does not impact the health, safety or well-being of horses, he said, and therefore should not require the level of certification outlined in the bill, especially at a time when the state is seeking ways to reduce occupational licensure requirements. “Let’s not create red tape for the sake of creating more red tape,” Kuehn said. Sen. Sue Crawford of Bellevue supported the amendment. The registry was agreed upon by stakeholders, she said, and would replace the current more restrictive licensure requirement while providing people who are seeking massage services for their horses with the assurance that they are dealing with a reputable practitioner. “[This] is a sincere effort to try and pull down the restrictions, yet provide an opportunity for people to be identified as someone who provides these services,” Crawford said. Following adoption of the Groene amendment, the bill advanced to select file on a 38-0 vote.